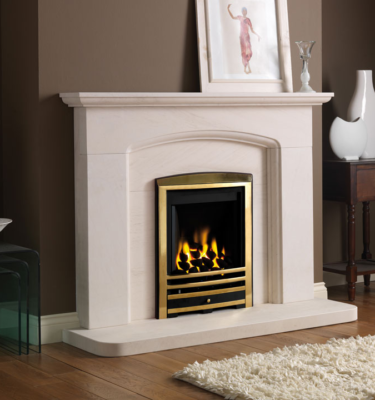 Our luxurious range of crafted limestone fireplaces are an excellent choice for creating the perfect feature to your room. And what can be more calming and comfortable than giving your feet a rest in front of a warm fireplace? Considering limestone’s long lasting quality you can be certain that it wont go out of fashion. Limestone will serve you well and become only more beautiful with time. 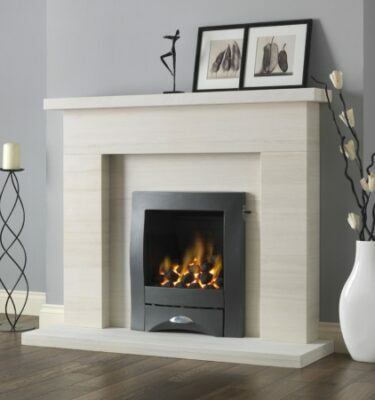 With a vast range of contemporary and more conventional styles of limestone fireplaces you really will be spoilt for choice. Due to the rock’s formation process each fireplace is distinctive and will bring a personal atmosphere to any room. 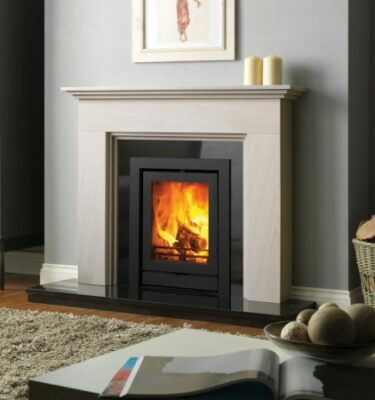 Here at Inspirational Fires and Fireplaces, we have tonnes of experience regarding limestone fireplaces. For more information please feel free to give us a call on 0121 429 3186. 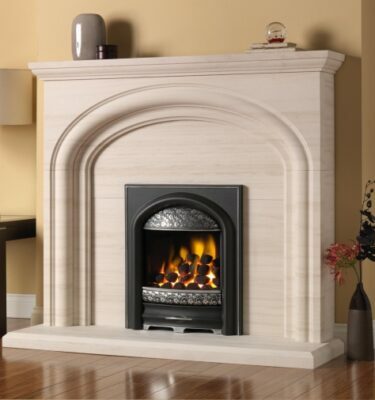 Limestone fireplaces are made of a natural limestone rock. It is widely used for different purposes for instance as a building material and even in making of glass. Majority of limestone is formed in warm marine waters. Small shells and skeletons are crushed at the bottom of the sea and as a result this sedimentary rock, limestone, is formed. Due to this formation process hidden gems such as fossils can often be found in the lining of limestone. Depending on the stone’s origin you will find that it has a completely different finish. 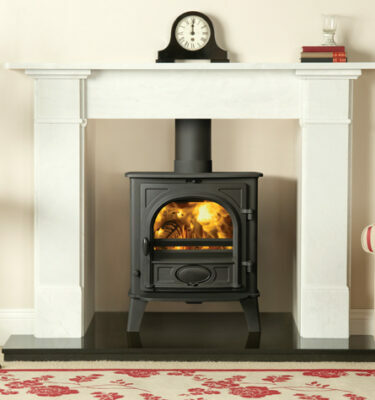 We offer a selection of modern limestone fireplaces like beautiful and sophisticated examples of Cotswold Arch, Drayton, Katia and others. Brands displayed in our showroom are carefully handpicked to deliver the best possible quality to our costumers. In particular PureGlow is a brand with more than 60 years of experience. They work with incredible detail on their hand carved limestone fireplaces. You can see them up close in our showroom in Birmingham.